Streets of London (registered charity number 1155242) funds specialist support for people who are homeless in London, and raises awareness about homelessness. We put on exciting live events, including charity concerts which give music fans the opportunity to see big-name acts performing in intimate venues for a great cause. 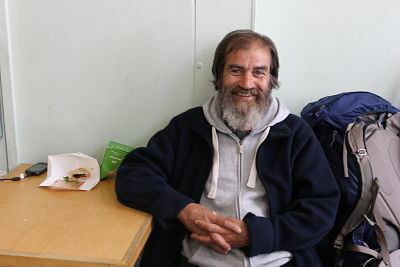 Thanks to the generosity of our supporters, in the last fours years Streets of London has made grants totalling more than £350,000 to fund some fantastic projects that offer life-changing support to homeless people in London. 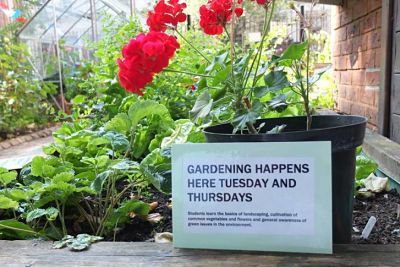 For more information about the projects we support, click here. Ellie Goulding, Dan Smith (Bastille), Justin Young (The Vaccines) and Ralph McTell are the charity's ambassadors. 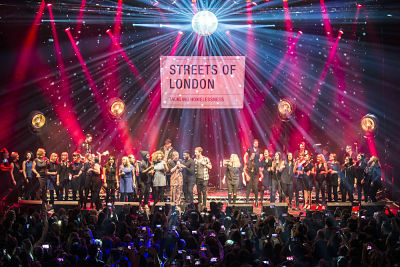 Over the last four years, Ellie Goulding has headlined a succession of amazing fundraising shows in support of Streets of London: at London's Shepherd's Bush Empire, at the Roundhouse and twice at the iconic Royal Albert Hall. These gigs have featured incredible line-ups, with special guest appearances from members of Bastille, Mumford & Sons and Years & Years, as well as artists including James Blunt, Craig David, Jess Glynne, George Ezra, Rudimental, Jessie Ware, John Newman, Tom Odell, Jack Garratt, Laura Mvula, Birdy, Kodaline and Kwabs. Other Streets of London fundraising gigs have included Bastille, Billy Bragg and Ralph McTell appearing in support of the charity at Union Chapel, and Seasick Steve headlining a concert that featured a surprise guest appearance by Led Zeppelin's John Paul Jones. 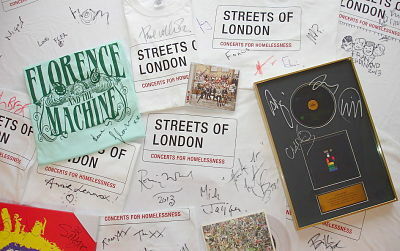 We've held 2 very successful eBay auctions of signed memorabilia donated by more than 50 major artists including The Rolling Stones, Coldplay, Ed Sheeran, Florence + the Machine, Noel Gallagher, Paul Weller and many more. Around 60 people signed up for the first Streets of London Sleep-Out in October 2018, sleeping out under the stars in central London and raising a fantastic £30,000+ in support of the charity's work! In June 2017, for the third year running a sponsored Speed-Hike on the route of the Tour du Mont Blanc saw a team of Streets of London supporters raise money to help London's homeless. We've also had teams of fundraisers have taking part in a range of challenge events closer to home such as the London Marathon, Royal Parks Half Marathon and Ride London. We also raise awareness - Streets of London aims to shift perceptions and challenge some of the stereotypes about who homeless people are, and to increase general understanding about the issue and what can be done to tackle it. In December 2016 we launched a short film called 'We Were All 10 Once', featuring the charity's ambassadors as well as Tom Odell, Frank Turner and a number of people who are or have been homeless. 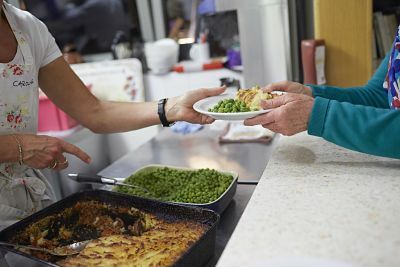 For more about what we do, click here to read an interview with Streets of London director Ian Steuart Fothringham, talking about the charity and its work tackling homelessness in the capital. For more information about the projects we support, click here.